At the PA Farm Show Complex, it's the PA Christmas and Gift Show. This show is BIG with vendors filling the whole farm show complex! For a quieter, old fashioned Christmas celebration, go to Boiling Springs. On Sunday evening, Santa will travel by boat to the floating Christmas tree and light the tree for the holiday season. Luminaries will circle the lake, hot chocolate will be available, and carolers will invite you to sing some familiar Christmas songs. This is just THE best of small town USA! While in Boiling Springs, you can attend "A Boogie Woogie Christmas" at Allenberry Playhouse. The crew at Allenberry always puts on a great show. Dec 8 & 9: Cantate Carlisle will present "Christmas Past, Christmas Present"
Dec 8 & 16: Harrisburg Choral Society will present "Festive Aires"
Dec 14, 15, & 16: The Susquehanna Chorale will delight us with "A Candlelight Christmas"
The Carlisle Christmas Season is not complete without "The Nutcracker" performed by the Central PA Youth Ballet. 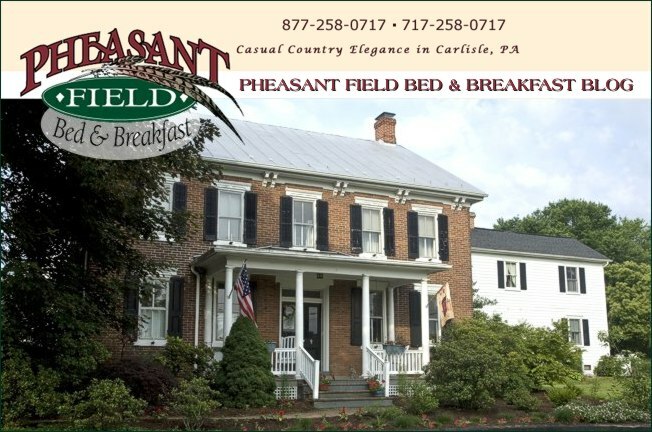 Don't forget to check our Gift Shop for those special gift items from Pheasant Field!